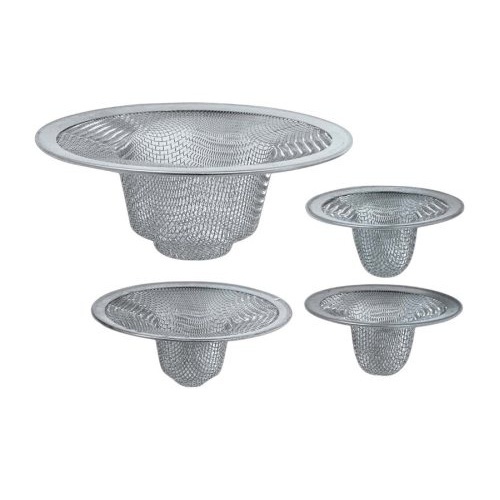 Our each is a set of (4) removable sink strainers with stainless steel mesh wells and flat rims. 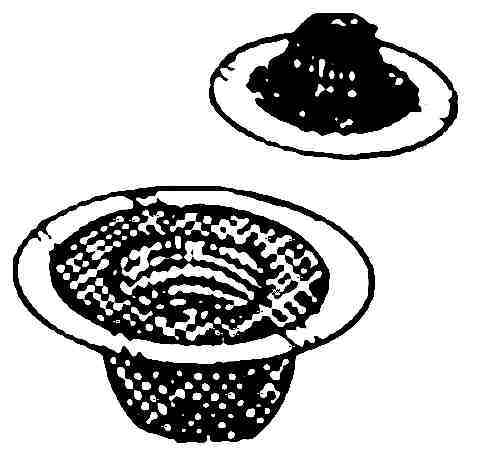 The set includes (1) 4-1/2" dia for 2-1/4" drains, (1) 2-3/4" dia for 1-1/8" drains, and (2) 2" dia for 3/4" drains. It's officially a watch-case holder, and indispensable for jewelers and watch collectors, but it's equally useful for holding anything small and squirrely while you work on it. 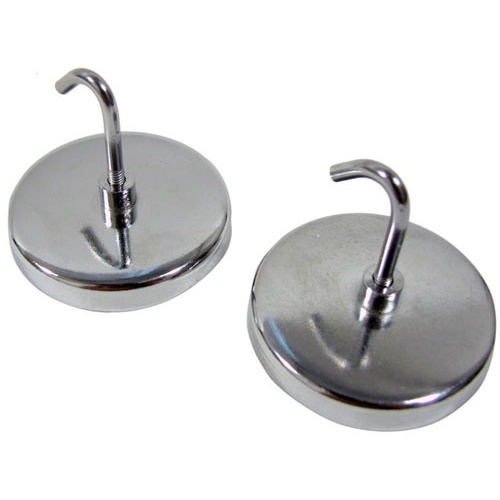 A pair of 1-3/4" long x 15/16" tall brackets have (4) sets of (6) holes that take (4) movable posts. 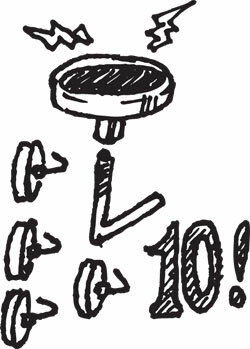 Spring-loaded jaws dial open to a max of 1". 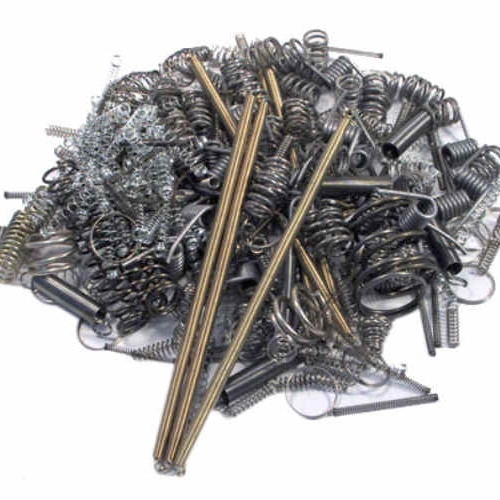 No large ones, but (101) amazingly assorted small extension, compression and torsion springs -- most, but not all, 1" to 2" long. Assorted lengths, assorted widths, assorted finishes, asorta handy bag of replacement parts to have around the house. 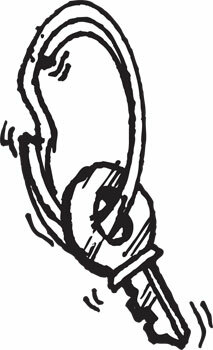 Hemostats are the clamplike devices dangling from veins and arteries in melodramatic operating scenes. 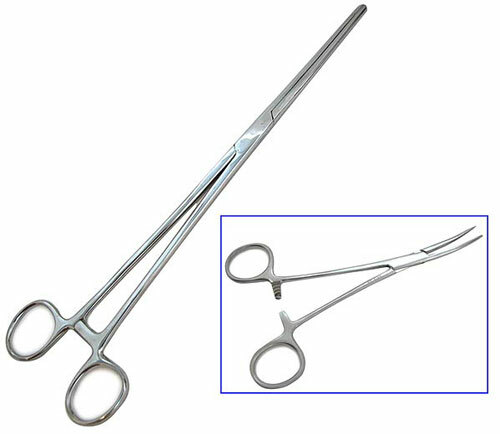 Our particular collection are Pakistani surgical-grade instruments made of magnetic stainless steel. As such we rate them pretty good, but not fantastic. 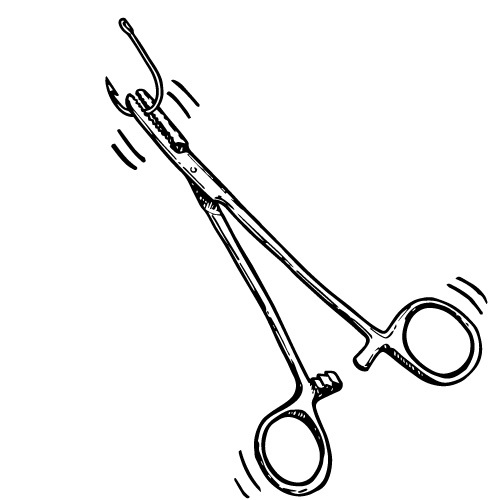 Hemostats look like little pliers. The jaws are relatively fine, with rounded tips. 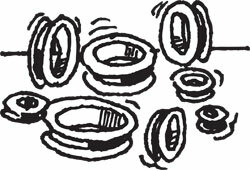 The inside faces are lightly serrated to get a grip on tubing or body plumbing. And the handles are much longer than the jaws. Now the heavenly part. 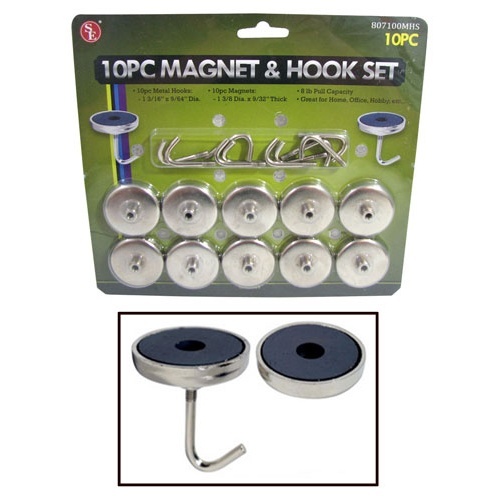 Great hobby clamps that can be worked into small areas. 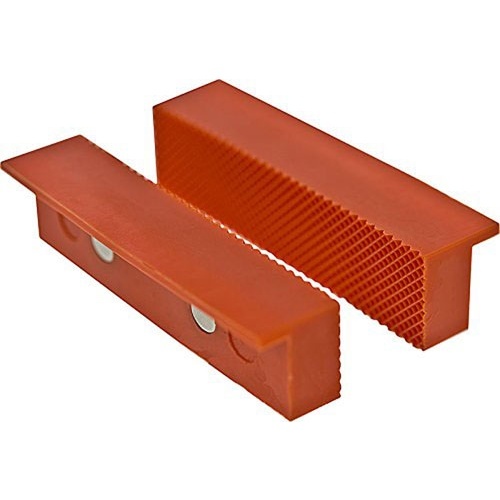 Fine heat sinks for electronics. Good hook extractors for trout fisherpeople. 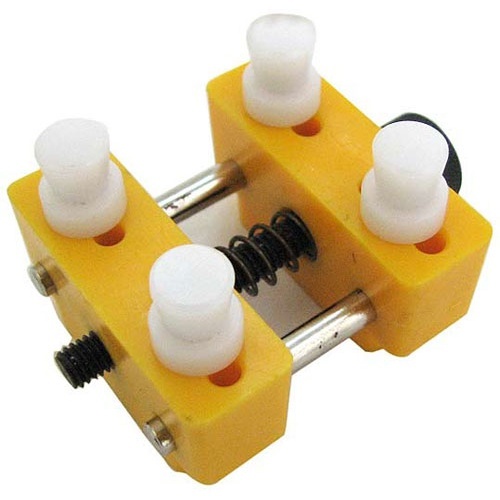 Excellent tubing clamps for flow-sensitive chemistry experiments. Sizes are approximate length. Walking sticks have moved into the space age! This walker's/hiker's friend has futuristic features and the look of an inter-galactic weapon. 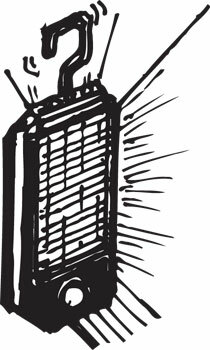 The high-quality collapsible aluminum stick extends from a packable 27" to a full 43", and has a carbide tip with a rubber cover, a removable 2" dia disk to keep the stick from sinking into soft ground, and an internal shock absorber that can be turned on or off. 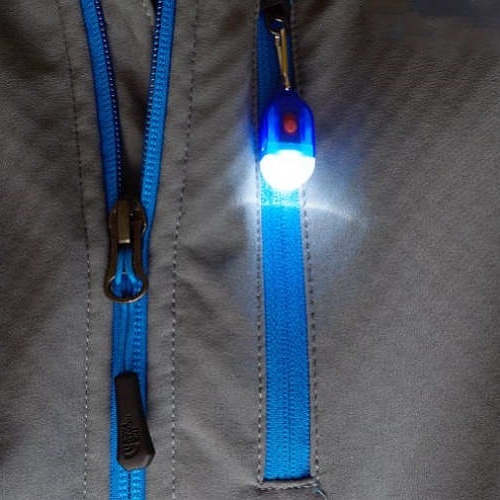 At the top, a 5-LED flashlight with a 90° pivot is embedded in a molded-plastic cane-style handle to light your way. 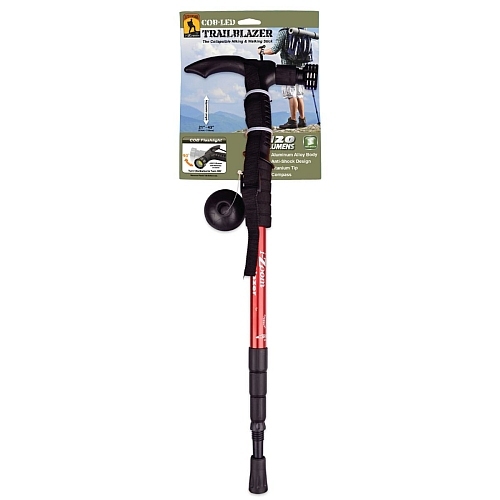 For mountain trekking, lengthen the stick, slip the adjustable canvas wrist strap over your hand, and clutch the stick by the padded foam section below the cane handle. Directions, diagrams, and 1100mm to 1350mm gradations are marked clearly on the 3-draw pole. We'll pick a black or anodized red, green, blue, silver or purple version for you. For bundling and identifying cables. 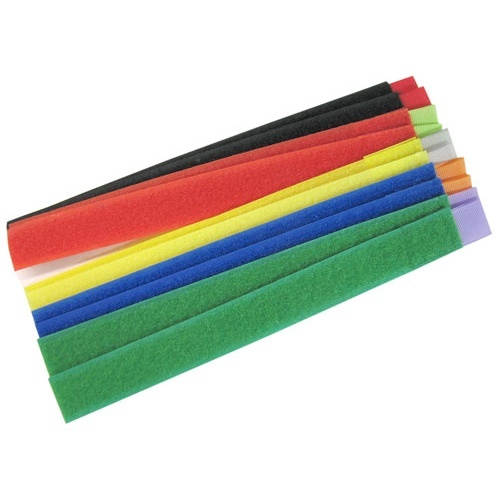 Our each is a 10-pack of 7" long hook-and-loop tape, (2) each in red, green, black, blue, and yellow. For the superorganized, each strap has a small violet, scarlet, lime, gray, or orange loop tab on the end for attaching the bundle to something and further color-coding it. 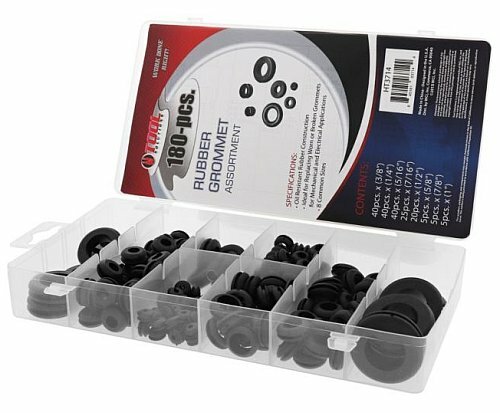 Staggeringly useful hook-and-loop fastener tape for do-it-yourself fastening and hanging needs. And trust us, the more you buy, the more uses you'll find. 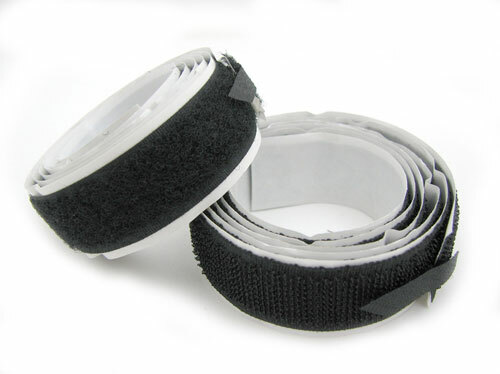 You get (2) strips (yes, one with hooks and one with loops) in black with a peel-and-stick self adhesive back, measuring 1m long x 20mm wide, which in English is approx 39" long x 11/16" wide. What a cool little clamp! Only 8" long overall, the jaws open to 4" when you press the release button and close incrementally as you pull the trigger. The 3/4" x 7/8" pads on the metal-and-plastic tool won't mar the surfaces they're sandwiching. Makes you want to find something to clamp! 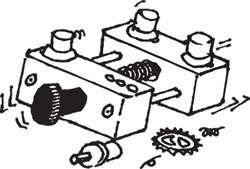 That’s a seldom-heard auto and woodshop taunt. 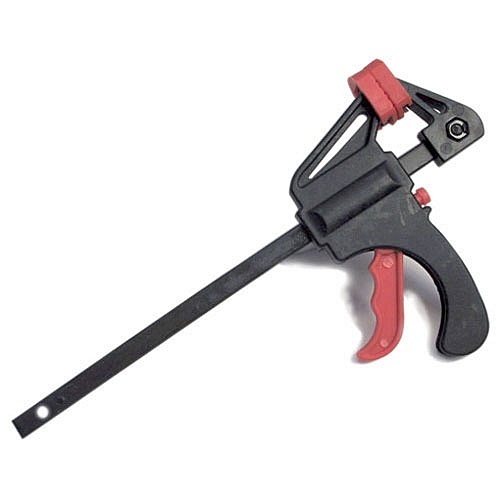 Also true of this, our largest ratcheting long-nose plier clamp. 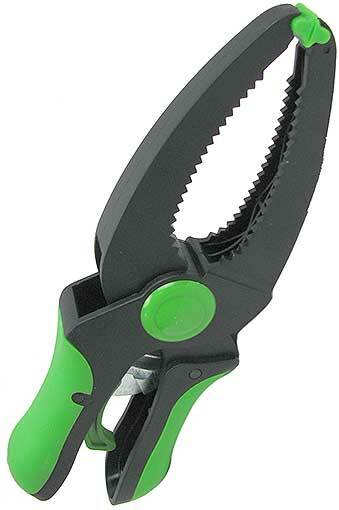 Measures 9-1/2” long with 3-3/4” long serrated jaws that have pivoting end pads. Opens to a yawning 3-1/8” and has a quick-release trigger. 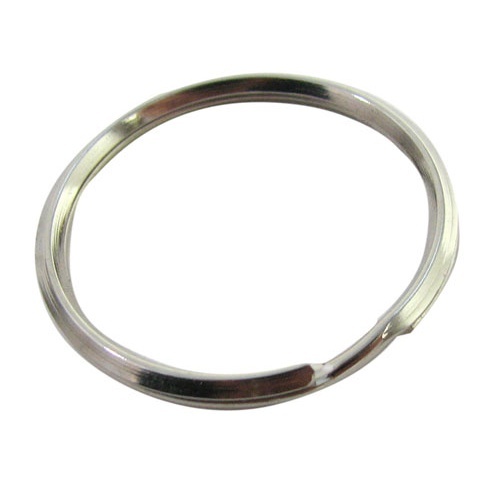 These are the split rings with the beveled profile, the good ones. 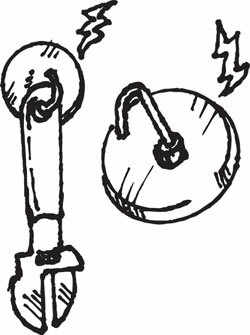 The bevel and the largeness of these rings translate to fewer chipped fingernails and blurted-out obscenities. Measure 1-1/2" dia x 1/8" thick, in steel, and hold a bunch of keys. 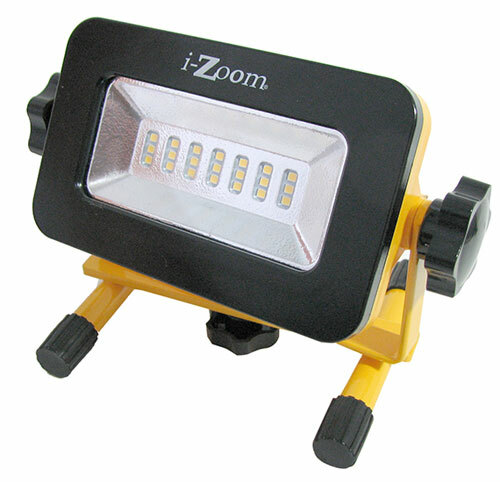 From iZoom®, our light source of choice, comes this tiny flood that lights way above its weight. Hard to believe (but true) that such a small package is rated for a staggering 500 lumens with (21) white LEDs that have a 30,000-hour life. It’s also indoor/outdoor weatherproof! 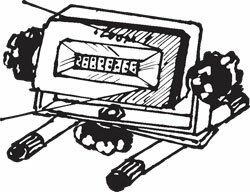 Measures just 5” x 3-1/8” x approx 1-1/4” with a booted power switch and gasketed battery compartment for the (3) included “AA”s. 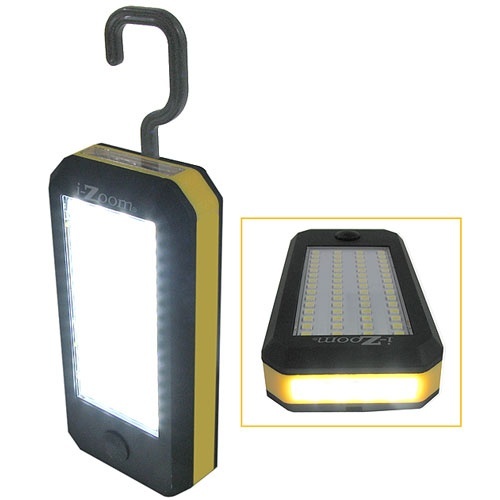 Includes an adjustable C-bracket for hanging, standing or mounting to the included 4” x 5” base. Should run for a steady 2-1/2 hours on fresh batteries. Our smallest vise, and arguably our handiest around the house: call it the Jaws of Aluminum. 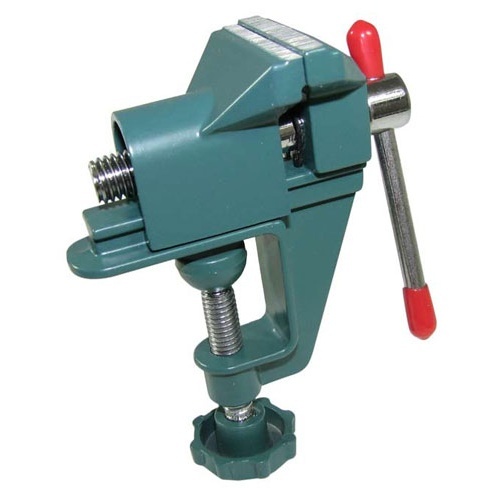 Clamp this small table vise onto a surface up to 3/4" thick and let it be your third hand. The jaws are 1-1/2" wide and open to a maximum of 1-1/4".